The show features live music from a talented 12-strong band playing a combination of classical and Latin American instruments, with intoxicating Afro-Cuban rhythms that lend a new flair to the familiar tunes of Bizet. 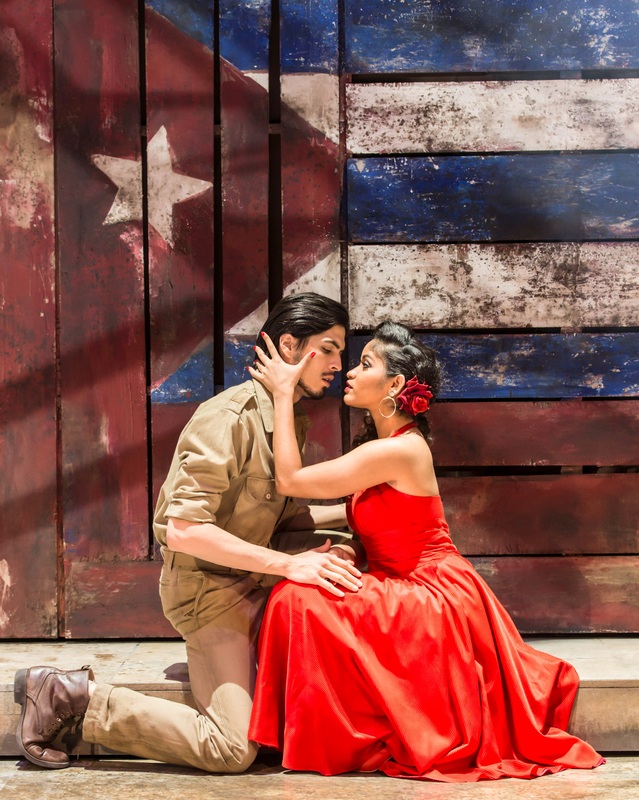 The energetic, pulsating choreography by Roclan Gonzalez Chavez fuses rumba, cha-cha-cha and mambo with a contemporary movement vocabulary performed by a stunning cast of 26, as Carmen’s fight for independence and freedom is mirrored in the spirit of the Cuban revolution. The production was described as ‘truly electrifying’ (Le Figaro), and ‘a breathtaking production’ (Le Parisien) when it received its world premiere at the The Théâtre du Châtelet in Paris in 2016. Christopher Renshaw’s directing credits include opera productions at Glyndebourne and the Royal Opera House, as well as musicals including The King and I – for which he won a Drama Desk Award and a Tony Award – and We Will Rock You. Alex Lacamoire has won Tony Awards and Grammy Awards for his work on the phenomenally successful Broadway musicals In the Heights and Hamilton. His other recent musical theatre credits include Bring it On: The Musical, 9 to 5 and the revival of Annie. Choreographer Roclan Gonzalez Chavez graduated in Contemporary and Folk Dance from the Escuela Nacional deArte in Havana in 1996 and was the only student in his year to receive a grant for further studies in choreography. Script writer and lyricist Norge Espinosa Mendoza is a theatre critic, essayist, poet and dramatist in Cuba. American productions of two of his works – Sueno and La Gloria – were recently presented in New York. Script writer Stephen Clark’s credits include reworked lyrics for the West End production of Martin Guerre, which subsequently won the 1997 Olivier Award for Best Musical and toured the UK and the USA. Book here.